ENTRY DETAILS: I created a small bungalow for Julia to live in it is quite basic, but it should have everything she needs. 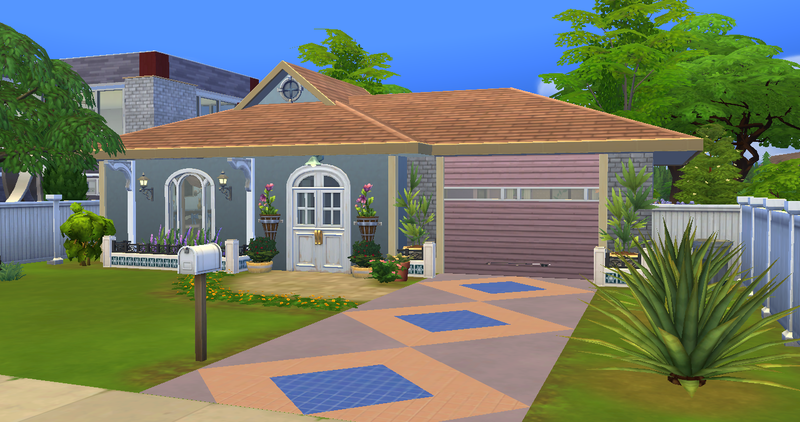 A large reception room, a kitchen, a small dining nook, two bedrooms and a bathroom. Decorated in creams, pinks and blues, I tried to create her a sanctuary from the outside world. Everything the Hawthorne Project requested is present, from the bookcase, computer and handmade guitar in the main living area, to the vegetable garden down the side of the home, there is a punch bag and a Yoga mat for Julia to be able to work on her athletic and wellness skills. There is also an easel and a chess set on the front porch. 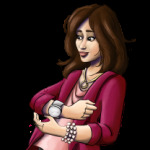 ENTRY DETAILS: Julia is a cheerful loner, who is incredibly family oriented. She longs to learn much about everything! 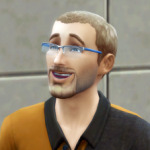 So, I like to do sim challenges, but all of my sims have cc, and to be able to get the link, you have to go to the gallery website.w On the gallery website, you can't enable cc. 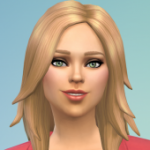 Does anyone know how to enable cc on the gallery website or how to get a link from the in-game gallery? 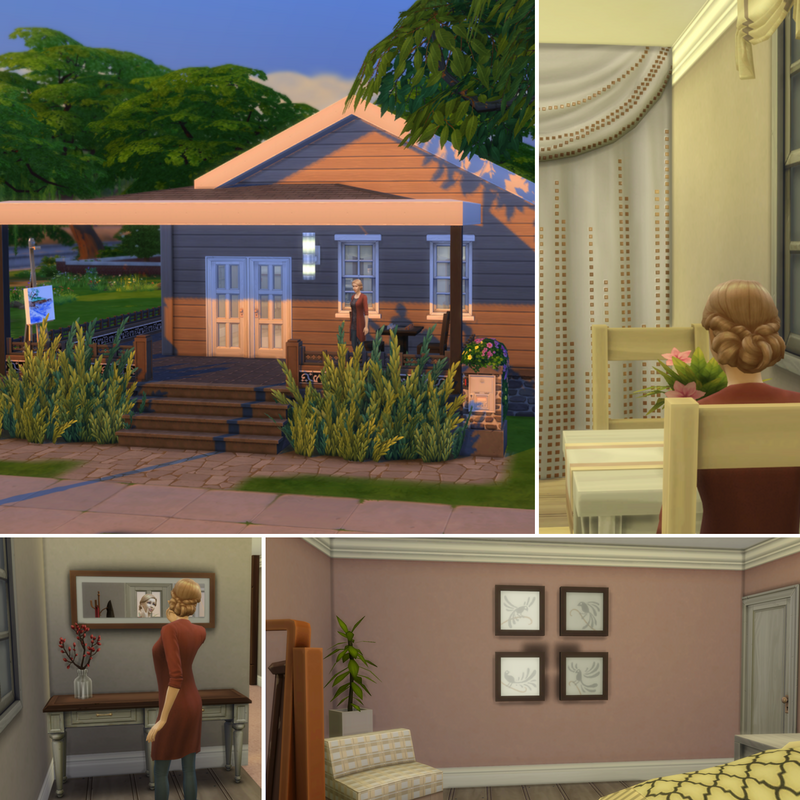 ENTRY DETAILS: Inspired by a suburban home, Camellia is a 1BR 1BA house with everything that Julia needs, like a computer, a chess table, a treadmill, an easel, and a veggie garden. Love the driveway, @pronterus ! It is very attractive! 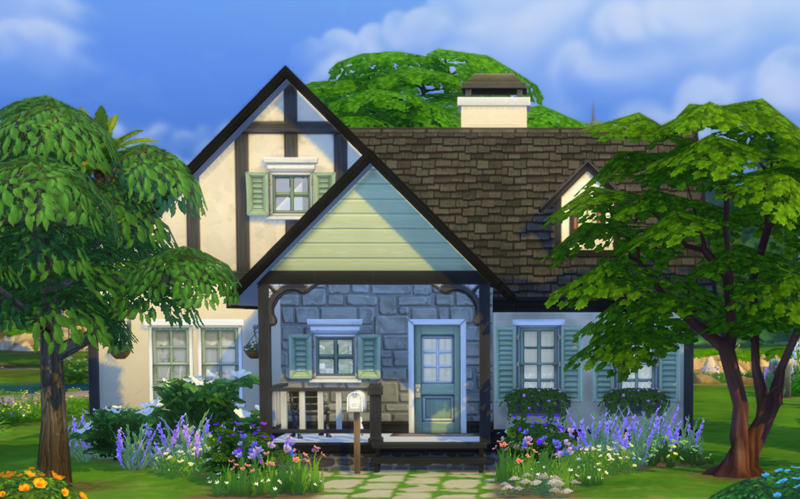 ENTRY DETAILS: I made a small cottage, on the 'cottage am se' lot in Windenberg, as I thought a cottage would fit the shabby-chic décor well. As no cottage is complete without a garden there are plenty of harvestable plants to make healthy meals with. The back patio has a yoga mat so Julia can enjoy the views while exercising. 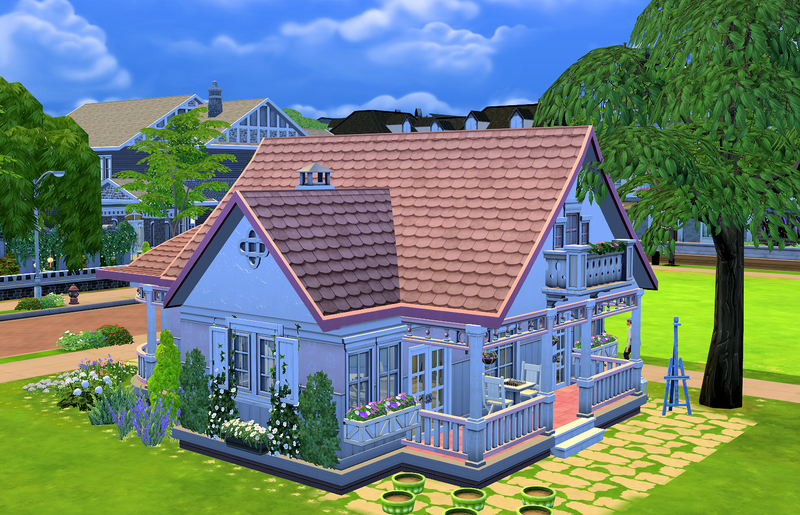 ENTRY DETAILS: I made a small cottage that is mainly light blue and cream in colour with a Shabby Chic style. There is a small veggie patch at the back of the house. @BuildnShare I don't know why Imgur won't let me rearrange the pictures but I will keep trying. At the moment, they are not in order and all over the place. I'm really sorry. 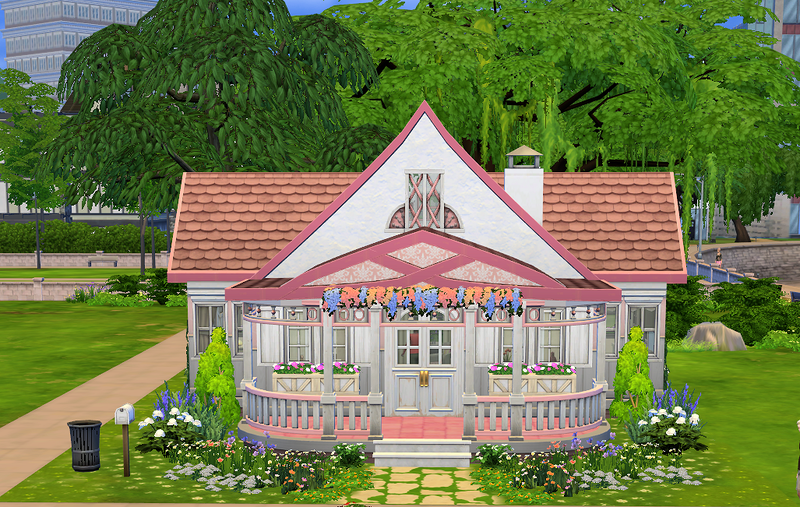 ENTRY DETAILS: Cottage style build with shabby chic interiors in shades of baby blue, pink and cream. Computer nook in the kitchen and chess included in the bedroom. Front porch with musical instrument and rear garden with vegetable plot, fitness equipment and easel. Thank you so much, @masajo I normally do that, but this time, it won't let me. I have a feeling it has something to do because I use Safari as my web browser. Sometimes Safari is just not compatible with some websites. I will try using Google Chrome later. @popettypop2012 , I had the same problem the other day with imgur. For some reason, it is letting me rearrange pictures again. Maybe there was a problem on the website the other day? Thank you, @StSciurus I will try again later and see what happens. ENTRY DETAILS: You would love this house if you love small spaces! It has all the necessities including a vegetable garden and many fun activities! I´m following this thread and I do like the current challenge. I do love all the entries so far as well. I´m building mine, but my husband felt ill ( happily he feels a bit better now ) and I couldn´t spend much time on my build. 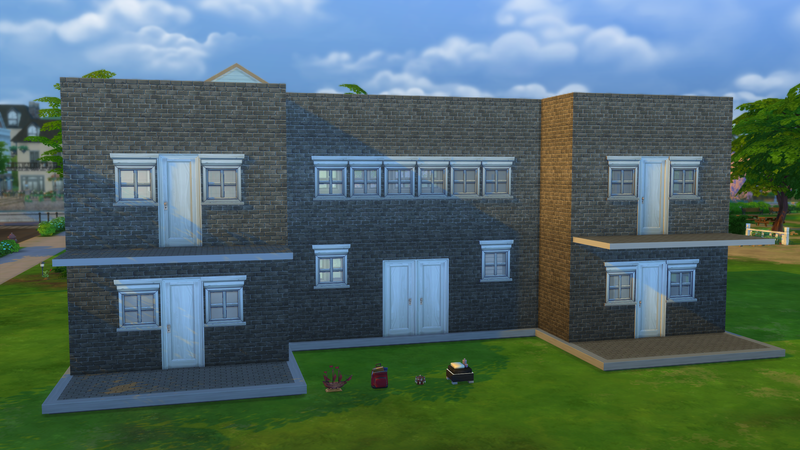 Yesterday when I was working on my entry, I realized that terrain paint vanished when I put my house in other lot. It supposed they fixed this 2 patches ago, but for any reason we have this issue back again. So I felt a bit upset for this. I´m not sure to be able to finish in time. Maybe I could enter my house and post the showcase later? 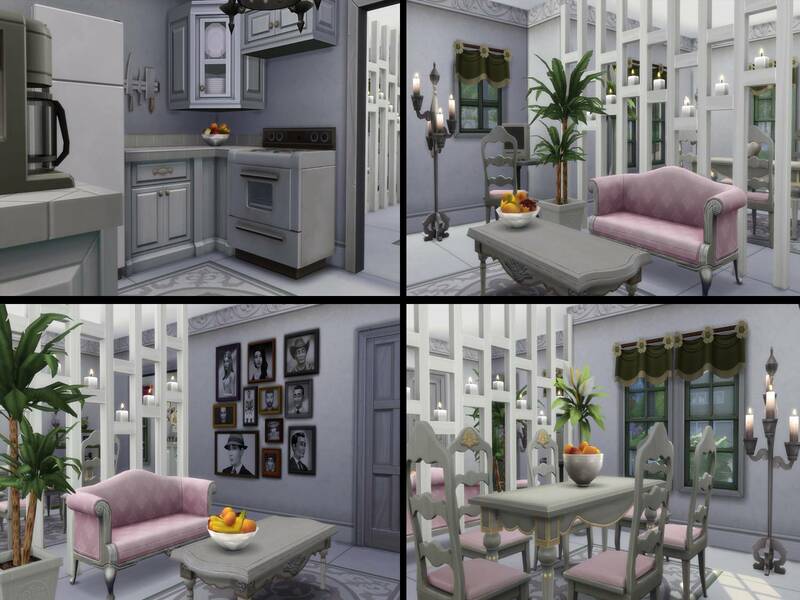 ENTRY DETAILS: Inspired by the style of the Shabby Chic houses and their inclinations towards a feminine aesthetic.The use of pastel colors and worn furniture and curtains. On the outside, the inspiration of the gardens of the old English country houses with profusion of plants and flowers. As you walk to work through the newly fallen snow, you wonder if your new office manager will already be there, or if you will have to turn the heating on yourself. You enter a ready warmed office, smelling of spiced tea and warming mince pies. You think yourself, "Yep, right choice." After weeks of searching, the right person for the job was literally deposited on your doorstep. You met Karl Hedges when you both surprised his sister Julia with her new home. While Julia was off exploring every nook and cranny, you took Karl to one side and explained your situation, remembering that he was looking for a personal assistant role after his husband was laid off. He was very low key and accepted the job on the spot. 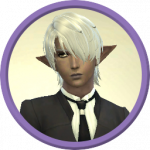 Karl stands from behind his desk, all 6' 4" of him, his blonde hair is perfectly styled, and those piercing grey eyes meet yours as he offers to take your coat. The foyer is gleaming, all those wayward portfolios have disappeared from view and you think, if he's accomplished all this over the weekend before Christmas, you truly have picked a winner. You make your way back to your office, fully expecting him to have cleaned up in there, and as you wonder where he will have placed that all important folder you need this morning, but no, it still looks like your office, all your documents, as far as you can see, are where you left them on Friday night. But, it feels tidier. The blinds have been opened and the glorious winter sun almost blinds you as you step in. You are surprised when his gravelly voice comes from behind you, you thought he had settled himself back down at his desk. "I have done what I can, but I didn't want you having to search for documents, photo's or portfolio's you needed." "Thank you Karl, the place looks fantastic, you didn't have to do all this over the weekend, I wasn't expecting it." "It was no problem, Grant and the kids were so excited when I told them I had a job, that they offered to come in and help. 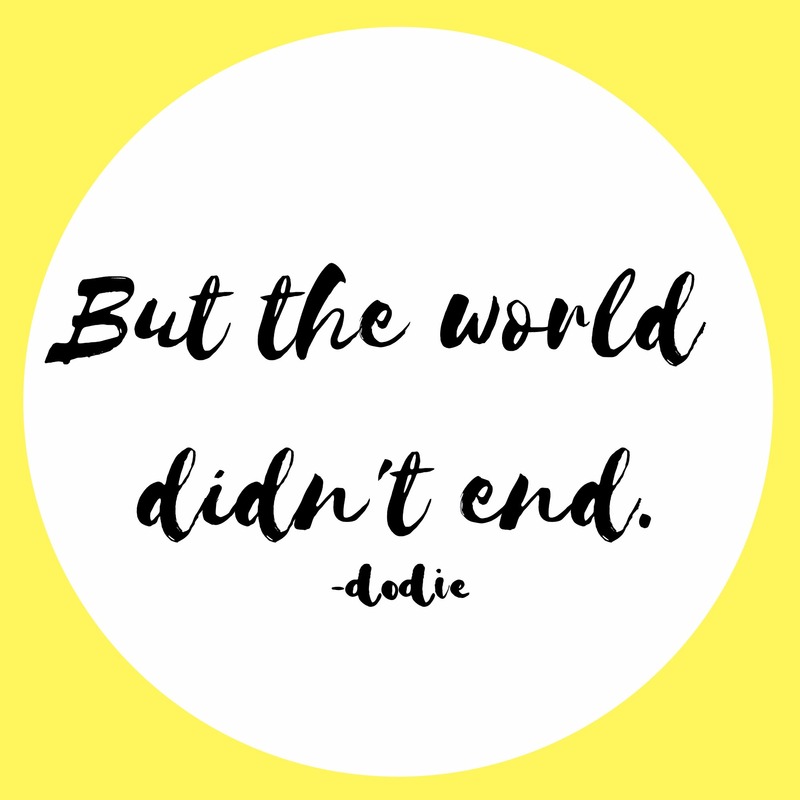 We made an adventure out of it." "Thank you so much Karl, this really was above and beyond." "There is fruit tea and a mince pie on your desk, Grant insisted on baking for you." "Yes, a very, very, very good choice." The number of very's in your head is getting a bit silly now. "So what do we have planned this week?" He asks. "I thought our pool of designers could have a bit of fun this time around, we don't have any pressing contracts right now, so we are going to host a Designer Showdown. 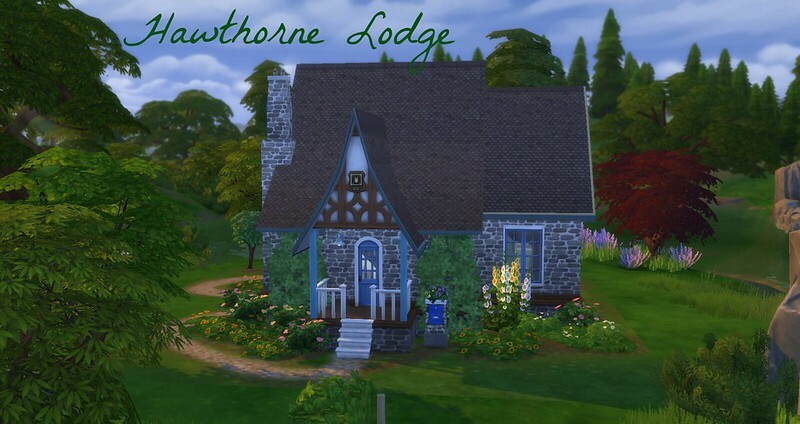 They will have four objects from which to chose to build a theme around, and a generous budget to build a 3 bedroom, 3.5 bathroom home on the banks of the river in Willow Creek. You will need to download this Shell to take part. You can layout the interior however you like. You cannot change the size or location of foundations, or exterior walls. Yes, all exterior walls and foundation must remain the same. 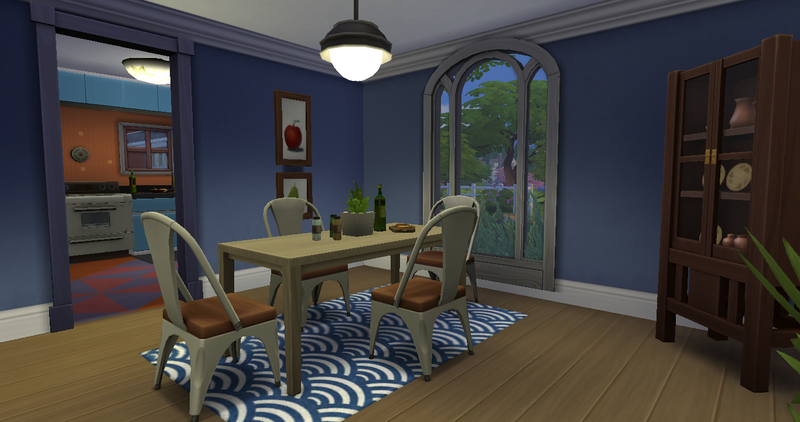 You can replace doors, windows, and stairs, but they have to remain in the same position (meaning if it's a 2 tile window, you have to replace it with a 2 tile window or 2 single tile windows, etc.) Doors CAN be replaced with an arch of the same size if desired. You can add structural elements for landscaping purposes, such as a greenhouse, gazebo, or a carport (no garages), but they cannot be attached to the main house. You CAN change, add or delete any fencing, but you may not use fencing inside the home. You CAN change the wall and floor treatments to any of your choosing. The theme is completely up to you. It does not have to be Winter themed (although you must include a Christmas tree somewhere in your home) - your house should reflect your inspirational object. You do not need any game packs to compete. The house was built with only base game elements. CC is allowed, but please list/link/credit them when you submit so downloaders can find them! 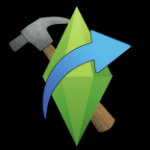 No Sim or Room challenges this time around.